On the final day of the Advanced Training, focus was placed on future GFP programmes. The Pioneers took turn raising and discussing possible obstacles to the implementation of successful programmes. Examples of such obstacles included insufficient human resources, collective action problems, and external circumstances such as national unrest. Simultaneously, the Pioneers also discussed how these challenges could be overcome. Examples of such solutions included mentoring support, partnering with different types of local stakeholders, interdependent mentoring, and improved practices for inclusion and communication. Following this, the Pioneers presented the next steps for their programmes. Some of them are looking to diversify and use new vehicles, such as sport or advocacy, while others are aiming to include different Target Groups, such as children. Therefore, 2015 means charting new and exiting territories for our Pioneers! Aside from focusing on their future programmes, the day was captivating in other ways. 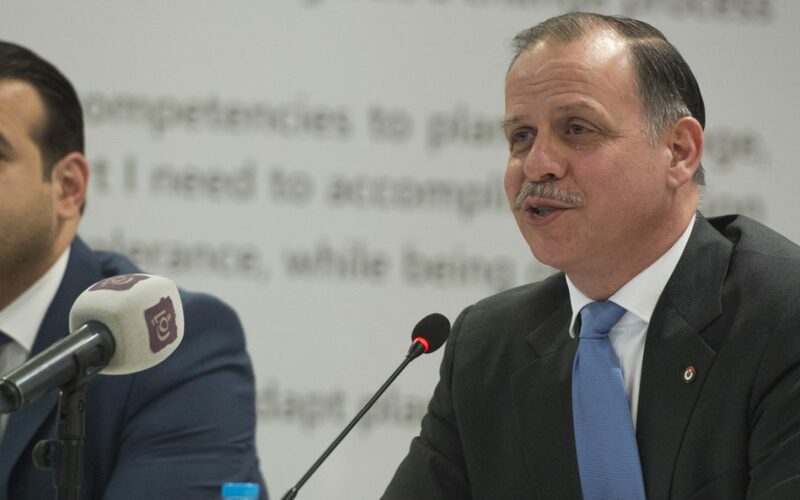 For example, the Pioneers attended a press conference at the GFP Headquarters, featuring GFP founder His Royal Highness Prince Feisal bin Al Hussein and Mr Fadi Awni Abu Shamat, Samsung Corporate Marketing Director. The Pioneers were able to listen to His Royal Highness and Mr Abu Shamat discuss the future direction of GFP and ask questions. Some Pioneers asked Mr. Abu Sharmat about future funding for their GFP programmes, while others wanted to know when His Royal Highness will be visiting their country next. In a few hours, the Pioneers will attend the final part of Advanced Training: The Samsung Generations For Peace Awards Dinner. During the evening, Mr Abu Shamat will hand out the Samsung Generations For Peace Awards, based on programme progress towards the four drivers of change (Innovation, Quality, Impact, Sustainability). This evening will truly be a worthy ending to five days of learning, sharing and experiencing for out Pioneers. Want to know who won the awards? Check out our social media channels!